French raincoat retailer K-Way is poised to open its first-ever standalone store in the UK with a flagship in central London. 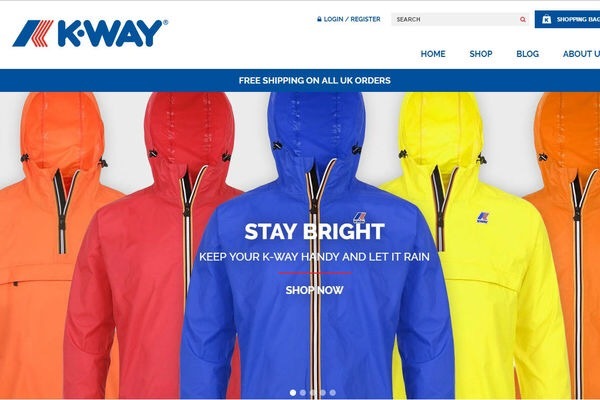 The brand already trades in the UK via online, but the store – slated to open in May – will be K-Way’s first foray into bricks-and-mortar retail in the country. The iconic rainproof brand will take up a 1300sq ft shop in Henrietta Street, Covent Garden and will launch with the spring/summer 2017 range of predominantly menswear, alongside some women’s and children’s wear. K-Way is the latest to join the likes of Oliver Sweeney and Fred Perry on Henrietta Street, which Capital & Counties Properties – better known as Capco – has repositioned to include a mix of casual retail and upmarket dining. K-Way was established in 1965 in Paris, by Leon Claude Duhamel. Posted on January 27, 2017, in #international, #retail. Bookmark the permalink. Leave a comment.